Our office offers a one-on-one approach to optometry. Dr. Charline Anselme and the staff at Comprehensive Eyecare of Virginia work with each patient to ensure that they achieve their ideal vision. 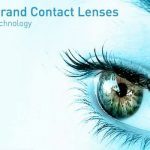 Dr. Charline Anselme specializes in contact lenses. Come in for a thorough contact lens eye exam today! We are a Colonial Heights, VA Optometrist winner of the Opencare Patients’ Choice Awards. Why Choose Comprehensive Eye Care? * Great customer service – We strive to provide the best patient experience and winner of Colonial Heights Patients Choice Award 2015! * Modern technology – we offer cutting-edge digital imaging retinal photography and visual field testing. Many eye diseases, if detected at an early stage, can be treated successfully. * Convenience – same day appointments available, walk-ins welcome, and Saturday hours. * Experience – all doctor and staff have over 10 years experience in the eye care field. I needed an eye exam ASAP due to not having backup glasses or contacts. My primary eye doctor did not have any immediate openings and I was force to look for other options. After calling numerous offices with no luck, I was told to call comprehensive eyecare of VA. They were booked up as well but they accepted walkins. I called ahead and asked how long the wait would be and was quoted 30-45mins. I arrived and was greeted by a very friendly staff and was ask to fill out the required forms to be seen. I waited for maybe 10-15mins, if that, before being seen. These women at this office know how to conduct proper business and made me very comfortable. I would highly recommend this office to anyone seeking eyecare in the near future. The visit was wonderful. The receptionist was very helpful and nice. The doctors were amazing. Very pleased. My kids and I went again this year for our routine annual eye exams. Hands down, the lady at the front desk is not only super friendly, but extremely knowledgeable about a variety of insurance plans. She makes sure there are no surprises. The Optometrist is also very nice and very thorough. The entire staff is very friendly. Excellent service & the doctor was quite thorough. Much better than the service I received from optometrist that gave me my last prescription at Wal-Mart. Highly recommend. Comprehensive Eyecare of Virginia provides vision evaluations & comprehensive eye exams in Colonial Heights. Schedule an eye exam today! Contact lens overuse is an increasingly common eye condition that has significant potential to do serious damage to your eyes. Vision plays a crucial role throughout childhood. Yet many parents don't understand how vision helps their children develop appropriately. A great gift for family or friends. Please call our office at: 804-451-4640 for further instructions. Use your best judgment on urgency, if you feel your need to find the nearest emergency room. Visit our emergency eyecare services page for more information.